Hearing aid guides are not hard to find, but most are not quite reader-friendly, either. Many are simply too long or complex, adding more perplexity rather than less. My guess is that you’re less interested in the physiology of hearing or in the ins and outs of acoustical engineering and more interested in determining the ideal technology at a fair price. Your intent is to hear better, not to read a 20-page manual. If that describes you, then you’ll benefit from this short guide to hearing aids. 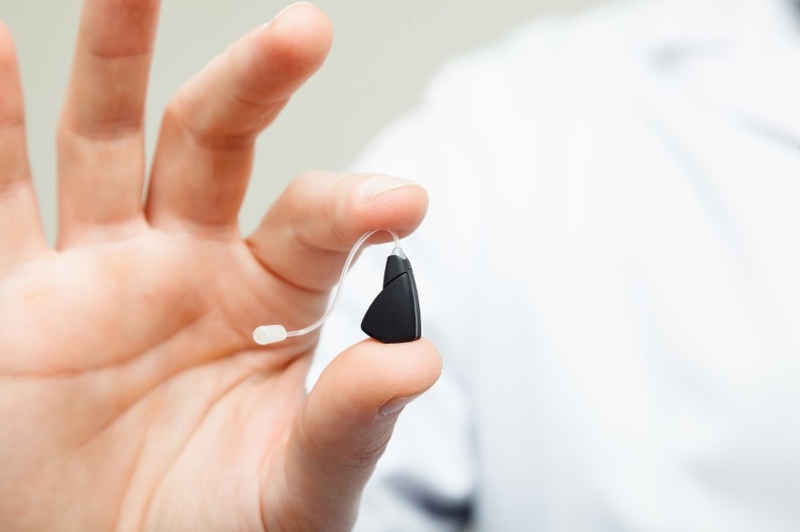 We’ll review four brief parts, and when we’re finished, you’ll be prepared to work with your hearing care professional to find the technology that’s ideal for you. Let’s get started. The digital processor adjusts the sound signal based on the settings programmed by the hearing specialist. The modified sound signal is then directed to the amplifier. The amplifier increases the volume of the sound based on the programmed settings, amplifying only the frequencies the individual has trouble hearing (while suppressing background noise). This signal is then transmitted to the speaker. The speaker renders the magnified sound to the ear, producing louder, clearer sound. In addition, all hearing aids contain a battery, volume and setting buttons, and remote controls. Hearing aids really only differ in two important ways: 1) style, and 2) advanced features. We’ll address these in the next two sections. 1. Behind-the-ear (BTE) hearing aids hook over the top of the ear and rest behind the ear. The case is then linked to an earmold in the ear canal by a piece of clear tubing. BTE hearing aids are simple to handle and clean, generally have an extended battery life, and can manage severe hearing loss. 2. In-the-ear (ITE) hearing aids fill the outer part of the ear with a custom-molded shell. ITE hearing aids are smaller than the behind-the-ear hearing aids but bigger than the in-the-canal styles. This makes ITE hearing aids easier to handle than the smaller styles but less conspicuous than the BTE style. 3. In-the-canal (ITC) hearing aids and completely-in-the-canal (CIC) hearing aids fit partly or completely within the ear canal, causing them to be almost or completely invisible. ITC and CIC hearing aids are custom molded to the contours of the ear, and some types can be worn for months at a time. When choosing a style, think about the tradeoffs among simplicity of use, battery life, and concealment. Your hearing care professional will help you prioritize your preferences and decide on the most suitable style. Once you’ve decided on the right style, you can identify which of the following advanced features you need—and which you don’t. Directional microphones allow you to focus on the sounds and conversations directly in front of you while reducing the disruption of loud background noise. Telecoils, or T-coils, allow you to talk on the phone while reducing the static caused by background noise. Environmental noise control allows you to optimize hearing based on your environment, for instance in a quiet room at home as opposed to in a hectic restaurant. Wireless connection to mobile phones converts your hearing aids into top quality wireless headphones. The hearing aid settings can be regulated from the phone (or digital watch), and sound can be wirelessly streamed directly from the phone to the hearing aids. Optional accessories include cleaning systems, storage cases, ultraviolet sanitizers, battery-changers, and more. Your hearing care professional can help you decide which hearing aid accessories you may need or want. Find a trustworthy, local hearing care professional. Only professionals with sufficient experience can evaluate your hearing accurately, which is crucial for when it comes time to program, fit, and calibrate your hearing aids. Focus on hearing aid styles and advanced features. Your selection of hearing aids will hinge on your preference of style and function. Explore these two facets with your hearing specialist and your options will come to be manageable. Set a budget. Some would assert that your hearing is priceless, but that doesn’t imply you have an unlimited budget. With all of the hearing aid choices available to you, you and your hearing specialist can find the right hearing aid at a reasonable price. Test out your new hearing aids. Ask about trial periods and test out your new hearing aids. Talk with your hearing specialist to establish realistic expectations and give your hearing aids an opportunity to show results. Your perseverance will be rewarded when you realize the difference better hearing will make in your life. And that’s it. What appears to be a complex process is in truth easily workable, once you understand how to prioritize your needs and limit your choices. With the assistance of your local hearing care professional, you can find the most appropriate technology at the right price—so you can start experiencing all of the benefits of better hearing.